Home > Freshwater Fishing Tackle > Freshwater Fishing Lures > MirrOlure Lures > MirrOlure 5 in. Mullet Kit - 28 pc. MirrOlure 5 in. Mullet Kit - 28 pc. 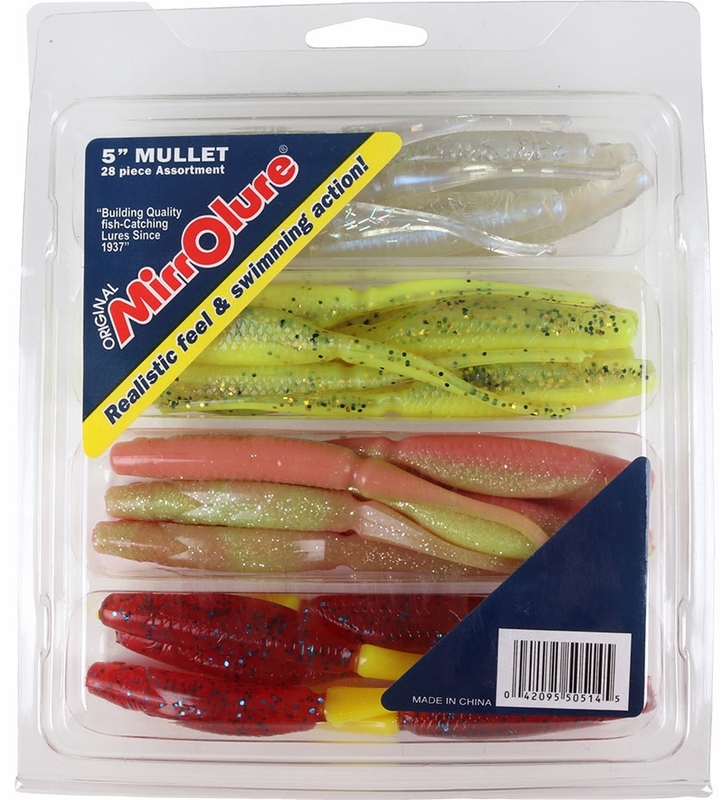 This MirrOlure Mullet Kit contains 28 5-inch soft baits in 4 colors. 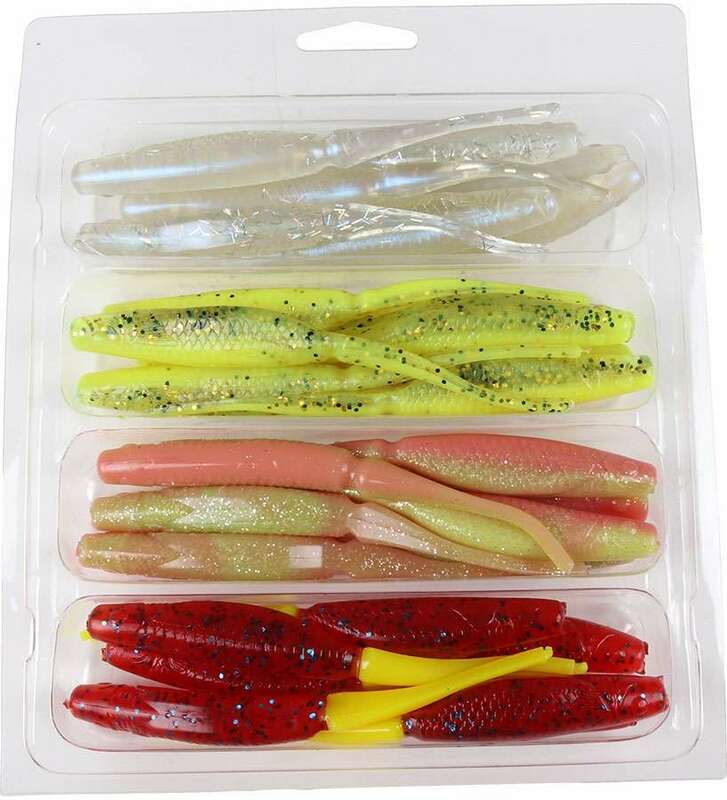 These soft mullets deliver a realistic feel and swimming action sure to drive fish wild! Love the service and quick shipping of this product, we saltwater fish alot during the early to late spring and have found that this bait is perfect for several different fish we target and the cost is the best I've found anywhere. The mirror luremail soft plastic pack is best suited for large hooked jig heads. The body does not have a hook slot so rigging Texas style with weighted hooks is not an option. ProsGreat color, tough pliable plastic. ConsBody style does not have hook slot. Fish seem to like them. I had never used any MirrOlure products before . The two for one deal got me to try them though. Have tried two colors so far rigged with a weighted wore hook. The reds like to eat them. Casts a mile using a dead slow retrieve through the grass. Proseasy to rig, material is tough. I threw at blues and lady fish on a jig head for kicks and got several hook ups before needing to change baits. I like to inject with scent and did not deform with as much as a cc of scent . 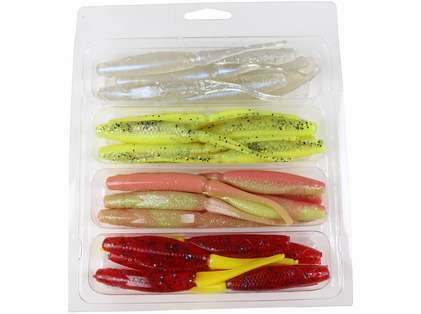 Ample assortment of colors for all fishing . We would suggest using a scented attractant product such as Berkley Gulp, Procure, or Biospawn on the baits to alter the scent.